I know it is sacrilegious, but to me, "Made of More" comes from a can, not a tap. The magic of the can is the widget. When they package Guinness in those tall beautiful black cans, they add a small sphere of hollow plastic. The gorgeous black stout is also packed into those iconic cans with an extra shot of nitrogen gas. The story goes that once sealed, the pressurized nitrogen diffuses down the pressure gradient into the round widget. Now here is the magic part. Crack the can. Pour the contents slowly down the side of a pre-chilled glass. Now watch the bubbles! These aren't enormous, fragile Lab Lite bubbles. The widget released its nitrogen when you cracked the can! Tiny pinhead sized bubbles cascade down your glass in memorizing hues of coffee brown and black. The head that is constructed on top is as thick and sturdy as a wine cork. It keeps all that brilliant stout aroma and flavor in your glass for that first sip. I like Guinness. I think this St. Patrick's Day, I may enjoy one with friends. What you don't want to spread to your friends on March 17 is the mumps. There have been more mumps cases that usual in Manitoba this year. There was a mini outbreak at the University of Manitoba in October 2016. Recently the Dauphin Area schools sent letters to parents like me saying there had been confirmed cases of mumps in Dauphin. What is mumps? Mumps is an infectious disease caused by the mumps virus. The mumps can be a serious disease. However, most people with the mumps will recover completely in a few weeks. While infected with mumps, many people feel tired and achy, have a fever, and swollen salivary glands on the side of the face. Others may feel extremely ill and be unable to eat because of jaw pain, and a few will develop serious complications. Men and adolescent boys can develop pain or swelling in their testicles, which rarely results in sterility. Inflammation of the protective membranes covering the brain and spinal cord (meningitis) and loss of hearing can also occur, and in rare cases, this hearing loss can be permanent. The most serious complication is inflammation of the brain (encephalitis), which can lead to death or permanent disability. Mumps is spread mainly through respiratory droplets in the air produced when an infected person coughs or sneezes. Symptoms generally occur between 12 to 25 days after infection. How do you prevent the mumps? The MMR vaccine is very effective. In Manitoba, the MMR vaccine is usually given at age 1 and age 4-6 years. MMR protects 94% of those immunized verses rubella, 81% verses mumps and 88% verses measles. Measles protection goes up to 99% after two vaccinations. Protection is believed to be lifelong in most people for all three diseases. There are going to be cases where someone got the MMR vaccine as a child and still got mumps. Does that mean the vaccine doesn't work? 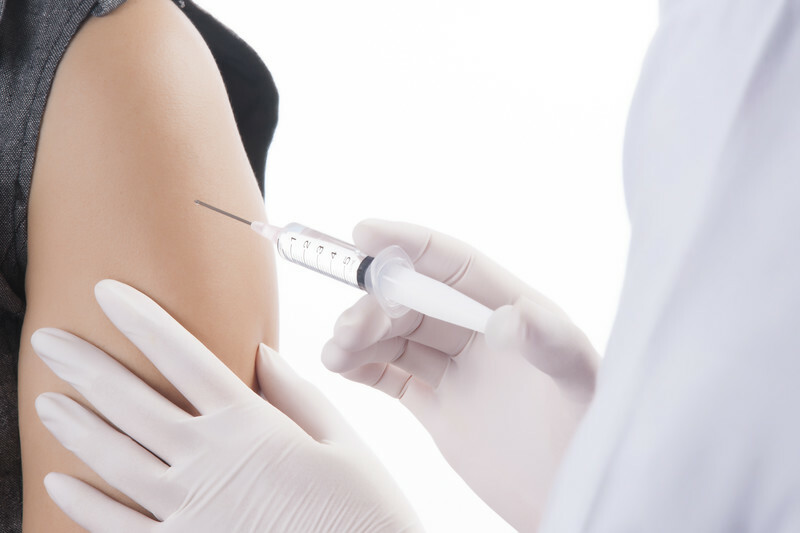 The MMR vaccine prevents most, but not all cases and complications of the disease. People who have received two doses of the MMR vaccine are about nine times less likely to get mumps than unvaccinated people who have the same exposure to the mumps virus. However, some people who receive two doses of MMR can still get mumps, especially if they have prolonged, close contact with someone who has the disease. If a vaccinated person does get mumps, they will likely have less severe illness than an unvaccinated person. When you have mumps, you should avoid prolonged, close contact with other people until at least five days after your salivary glands begin to swell because you are contagious during this time. The time it takes for symptoms to appear after a person is exposed to the virus can range from 12 to 25 days. You should not go to work or school. You should stay home when you are sick with mumps and limit contact with the people you live with; for example, sleep in a separate room by yourself if you can. Staying home while sick with mumps is an important way to avoid spreading the virus to other people. People who are infected with mumps don't get sick right away-it can take 2 to 4 weeks for them to show signs of infection. In addition to staying away from others when you have mumps, you can help prevent the virus from spreading by covering your mouth and nose with a tissue when you cough or sneeze, and put your used tissue in the trash can. If you don't have a tissue, cough or sneeze into your upper sleeve or elbow, not your hands. Washing your hands often with soap and water. Avoiding sharing drinks or eating utensils. Disinfecting frequently touched surfaces, such as toys, doorknobs, tables, counters. The Guinness family has had a long relationship with Canada. They even bank rolled the entrepreneur, Alfred Taylor, to build the Lions Gate Bridge to West Vancouver. Guinness builds things. Canada, if you've never tried a dark beer before, now is your chance. You've done the green hat and the "Kiss Me I'm Irish" tee shirt already. But Canada, you've grown up now. You're 150 this year. This St. Patty's Day, watch the tiny nitrogen bubbles cascade down your glass as you chat with someone you haven't talked to in a while. Unfortunately, I get zero compensation for this blatant ad for Guinness, so let's call this a public service announcement. If you are "Made of More", try Guinness on March 17. As always if you have any questions or concerns about these or other products, ask your pharmacist.